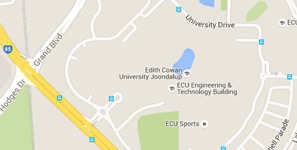 ECU’s School of Science and Makerspace Technology Centre are hosting Computer Science sessions for secondary students. ECU Computer Science lecturers and students have developed a series of learning opportunities for high school students. These activities allow students to engage in computational, design and systems thinking. Students will experience the computer science process that is needed to create digital solutions.